In the 1970s New York farm girl Jenny Thompson ignores the love of her gentle Mennonite neighbor Jake Martin whose friendship she has cherished to comply with her bitter, overbearing social-climbing mother’s wishes for her to marry the richest and most popular boy in town. When her marriage ends in divorce she takes her toddler son to New York city where she finds success in business and the art world. When fate intervenes to reconnect her with Jake, now a high-powered lawyer, two decades later she must choose between heady success and the only love she has ever known. 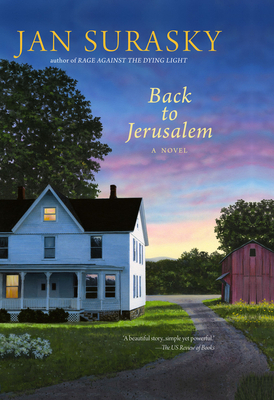 Beautifully and lyrically written against a backdrop of country dogwoods and meadows and the excitement of fast-paced city life Back to Jerusalem is a vivid and passionate illustration of the complexities of second chances.